Glasgow. 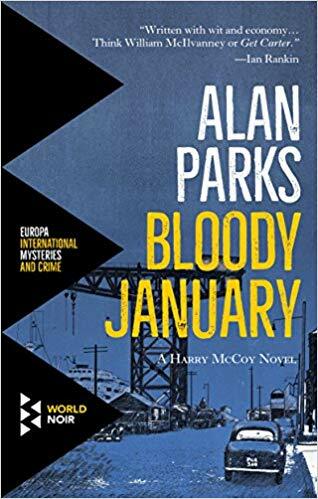 After I read a review of Alan Parks’ debut novel titled, Bloody January, I had to answer a key question. Should I read this detective novel set in Glasgow introducing Harry McCoy and risk that this will be a long series and I will end up reading every one? I took that chance. Set in the 1970s, there’s lots of violence and blood, quirky characters and wooden ones. The story kept me engaged, and McCoy is still employed by the end of the novel, despite coloring outside the lines of acceptable police work. I was entertained by this debut novel and am willing to consider reading the next in the series whenever it is released. Readers who like Tartan noir, or dark crime fiction of any fabric are those readers who should enjoy this novel. Rating: Three-star (It’s ok) Click here to purchase Bloody January from amazon.com.